The happiness you seekNo matter how badly you want to get to the next level and experience a different result it’s just more of the same leaving you feeling stuck. Here’s the GREAT NEWS!!! You can change your mindset, beliefs, and energy to match the change, growth, and success you dream of living. The beliefs you live by are a direct reflection of your reality and they are the reason for every action, fear, habit, and outcome you have. The Masterclass will end with a powerful guided prayer that will raise your energetic state and teach you how let go of what is keeping you stuck so you can step confidently into alignment and flow. After running a successful Manhattan based events planning business, Tiffany Nicole moved to Miami to embark upon an immersive journey of self-discovery. As a student of the famed Creative Insight Journey (CIJ) Course, Tiffany Nicole become a Certified CIJ Instructor and Mindset Coach. CIJ is a proven, state-of-the-art methodology based on the Stanford University Master’s Degree Course Creativity in Business that has revolutionized the art of success. Tiffany became the integral Lead Global Trainer, and has shared these transformative mindset tools with thousands of people around the world. She also spearheaded the national and international expansion of the CIJ program into more than 12 cities and 3 counties. Continuing to expand her knowledge and sharpen her skills, she is currently training under Tony Robbins, the number one life and business coach in the world. 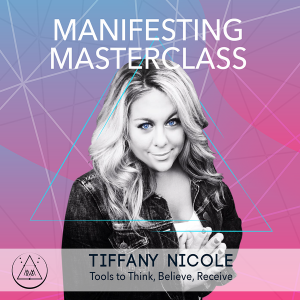 As a Certified Mindset Coach, Tiffany Nicole teaches proven practical tools & techniques to live in the present, stop over thinking, and start believing in your purpose and power. She offers corporate mindfulness programs, digital courses, retreats, workshops and one on one coaching.